What Are the Symptoms of MS? What is Multiple Sclerosis Treatment? Multiple Sclerosis is a disease that affects the brain, spinal cord and optic nerves. It’s a long lasting disease and causes many problems with vision, balance, control of muscles and basic body functions. It is common that not everyone experiences MS in the same way and their symptoms may range from mild to severe. Multiple Sclerosis emerges when your immune system attacks the myelin in your body which is a material that surrounds the fibers that protect the nerves. MS symptoms checklist: What are the symptoms of MS? MS often shows its self in those who range between the ages of 20 and 40 and comes in waves that can be considered attacks. It is common for this disease to also progressively get worse, it depends on the person. It’s also normal for those who experience attacks to get worse and then get better, in a cycle. If you notice that any of these symptoms are going on, you should speak to a medical professional about your concerns. When doctors test for multiple sclerosis they look for damages areas in your CNS (central nervous system) as well as be able to prove that damage happened in different instances as well as rule out any other type of diagnosis. 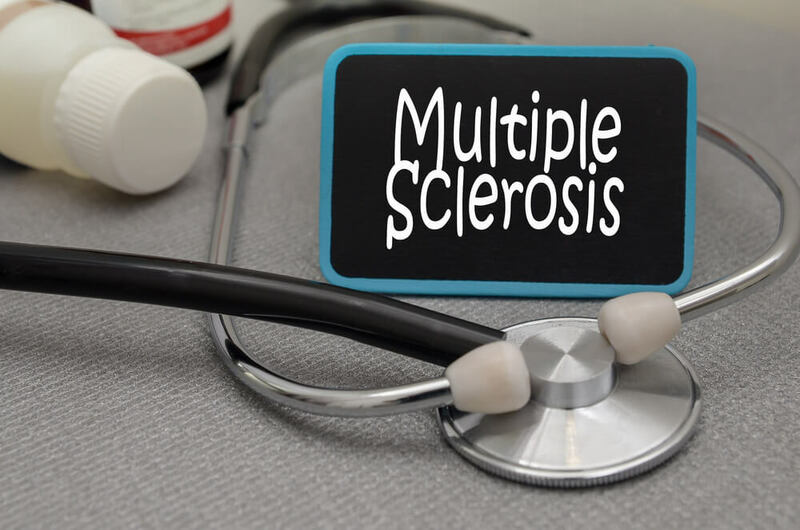 Although there is no cure for multiple sclerosis there are treatments that can help those who have MS manage their life and live with the disease. There are various types of multiple sclerosis treatment such as disease modifying drugs that can slow down the disease and prevent attacks. They work with the immune system to keep your myelin safe, as well as your nerves. IV steroids is another type of multiple sclerosis treatment that help reduce the inflammation in the body due to attacks, or flare ups of the disease. Although IV steroids do help with symptoms of MS, they have their own types of side effects that don’t agree with everyone. Living with MS doesn’t mean that you are not allowed to be happy. Not allowing MS to define you or who you are is a step towards taking care of your mind. Allow yourself to get help if you need it, don’t be afraid to speak to a support group or get counseling, allow others to help you work through your own fears. MS gives you extra challenges in your daily activities but doesn’t mean that you can’t still be who you are.